Developed in one of the most historically significant sections of Virginia Beach, The Carriage Homes at Lawson Hall offers so much to its residents. Corinth Residential, the builder, offers exceptional quality and design in their homes. The kitchen features granite counters, stainless steel appliances and custom crafted birch cabinets. The master bedroom has a pan ceiling with mood lighting and walk in closet. There are hardwood floors throughout the downstairs. Plus, it’s close to so many popular attractions including Town Center and Shore Drive. 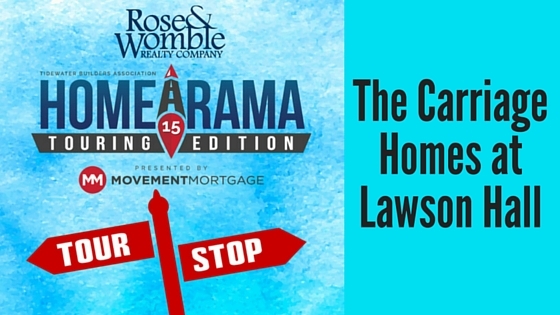 Stop by during your Homearama Tour and you won’t be disappointed.